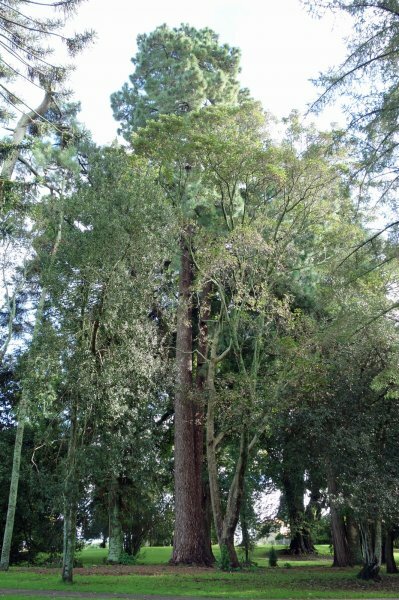 Described by Burstall as "by far the largest and tallest Canary Island pine in New Zealand". 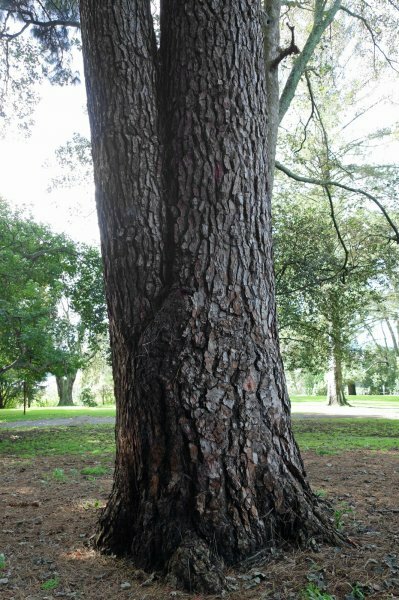 The tree is still the tallest known of the species in New Zealand but the title of the largest is reserved for a single-stemmed tree, which the Yatton Park tree is clearly not. CBH includes both stems, and is influenced by their fusion. Bifurcated from near ground level. At the south-eastern end of the arboretum section of the park, inside the loop track.